Tile and wood flooring choices are growing steadily in popularity. There are certainly wood floor trends and tile trends that some homeowners are following. However, as a category together - hard surface flooring - is seeing a surge in use. Whether you like ceramic tile, luxury vinyl planks, or solid hardwood floors, Indianapolis flooring store Kermans has three key benefits to hard surface floors that make them a good buy for any home. Hard surface flooring covers any type of flooring outside of area rugs or carpet. It's really a very wide category ranging from traditional ceramic tiles to new luxury vinyl, interlocking wood-like planks. While each type of hard surface flooring brings a different look and style to your home, all of them bring a few positive benefits that any homeowner should consider. When you have a hard surface floor, you have very few cleaning worries. Keep a mop and a broom handy and you have the tools you need for quick and easy everyday cleaning. Mud tracked in from the dog? Wipes right up. Kids spill a pitcher of lemonade? Wipes right up. Hard surface floors are great for busy households! Learn more about caring for tile floors. Learn more about caring for wood floors. Tile and wood floors are able to withstand the wear and tear of everyday life and look beautiful for decades. Different types of hard surface floors have different hardness factors, but all of them are good long term investments in your home. These floors can handle traffic and with regular maintenance, can look like new for years to come. The most common indoor allergy irritants are dust, mold and mildew - all of which thrive in many carpets and area rugs. If you have allergies, a hard surface floor is the best choice for you. Tile, vinyl and wood have no carpet fibers or padding to trap those allergants creating a cleaner, more breathable environment. Solid hardwood. Laminate wood. Luxury vinyl. Porcelain tile. Ceramic tile. Stone tile. The list of hard surface flooring available at Kermans flooring store in Indianapolis is practically endless. 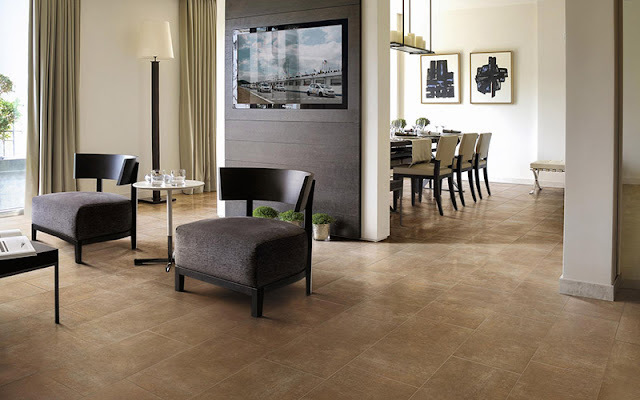 Stop by our showroom and discover how hard surface floors can benefit your home. Our free design consultants will help you narrow your choices to best fit your home, lifestyle and budget.